Even a good laptop will not last a lifetime. On average, a laptop will last 3-5 years before it needs replacing. It can be difficult to decide whether you are best to purchase a new laptop, or have your existing laptop repaired. Laptops using high memory programs such as games, apps or state of the art programs will need replacing far more often than if you are just using your laptop for email, browsing the web and basic spreadsheets. With every software upgrade to your programs they will use up more hard drive space and memory resources, causing your laptop to slow down. You may choose to upgrade the operating system, security software and software programs on your laptop to keep it up to date and avoid needing to replace it. Staying up to date with software will always use up more system resources on your laptop, and slow your system down. New software and programs always use more resources. It is estimated that the memory needs of computers will double every second year. Adding more RAM to your laptop and upgrading the hard drive will speed up your system and extend its lifespan. We can add additional memory to your laptop. 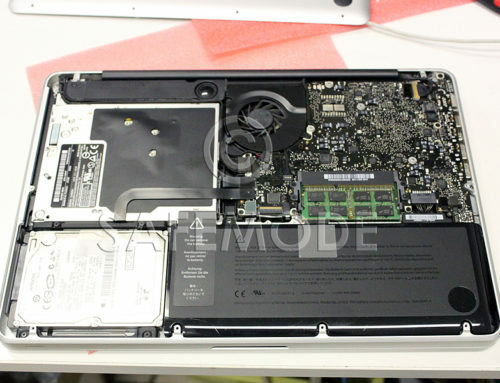 We provide quality maintenance and notebook repair Sydney regions. Care of your laptop will ensure that it lasts longer. Shutting down your laptop each day, rather than leaving it turned on, will give a longer life to the hard drive and fan components of the computer. Keeping your laptop in a cool area will also help to prolong its life. When deciding whether to repair your laptop, take into account the speed of the system, the cost of repairs in relation to a new laptop, and how many years the repair will extend your laptop’s life by. For any queries in relation to laptop purchases and computer repairs Sydney, contact us at Safe Mode.